These alumni have excelled in their profession, made a positive impact on their community, live a life rooted in faith, & continue to support the strong tradition and bright future of CMHS (demonstrated continued involvement, support and/ or service to CMHS). 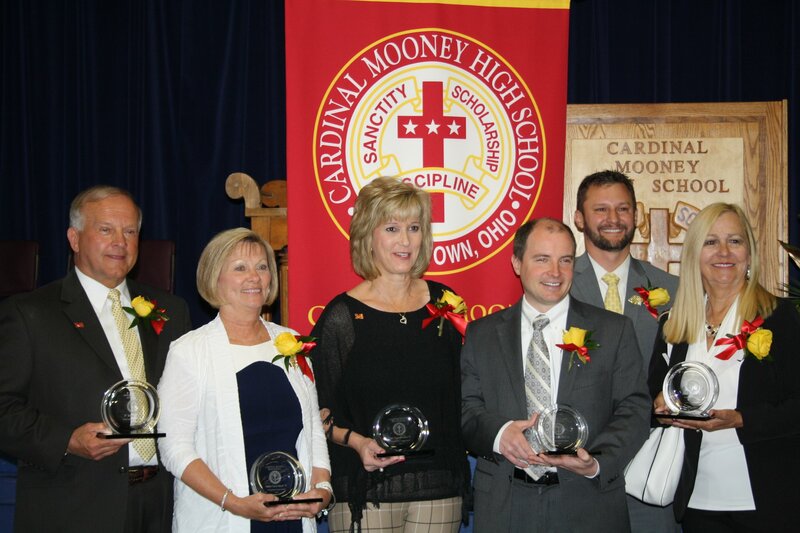 These exceptional alumni are outstanding role models for prospective and current Cardinal Mooney students. What is you relationship to the nominee? Briefly outline the work experience of the nominee. What particular qualities and/or activities of the nominee make you believe he or she should receive this award? How does this nominee demonstrate a continuing concern for others embracing the Cardinal Mooney motto “Sanctity, Scholarship and Discipline”? Describe the nominees continue involvement and support of Cardinal Mooney High. Letters describing the nominee’s qualifications in relation to the above criterion, should be forwarded to the Alumni Office at Cardinal Mooney High School, 2545 Erie St., Youngstown, OH 44507 no later than November 15 of the preceding year.